Right Side of the Slash is a support group and discussion space for all those who identify as submissive/bottom/slave/in- service. Our mission is to build bonds and security in our submissive/bottom/slave community. Join us in discussing various topics important to you if you are interested in or involved in submissive/bottom/slave relationships. We have a topic of discussion each month, but we’ll also listen and share experiences about any issue that’s important to you. Nothing discussed is intended as a “to-do” list, but as an exchange of ideas that may touch upon your life and experience. Discussion is respectful, supportive, and entirely confidential. Switches are invited to attend and express their submissive side(s). 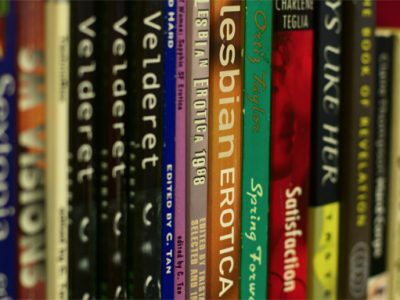 We welcome all people ages 18 and older, of any experience level, gender identity, orientation, or relationship status. Open to the public, 18+ with ID Right Side of the Slash is presented by D/s Pacific Northwest. Our DSPNW group for Dominants, View From the Top, meets at the same time and location. Each group meets in a separate, private space. For more information, including location address and how to RSVP, please see our FetLife profile under “DSPNW”. 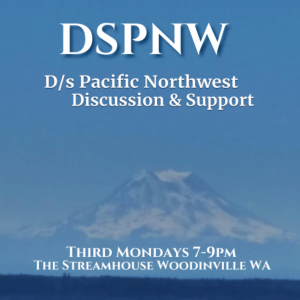 DSPNW discussion groups are presented in association with the Pan Eros Foundation.